Caring properly for your Brinkhaus duvets is essential to keep them looking and feeling their best. One of the key points to remember is to always use a duvet cover to protect the duvet from perspiration, soiling and general wear and tear. Only feather and down filled duvets require shaking, natural fibre or fleece filled varieties should not be shaken as this can lead to tearing. Instead, gently move the duvet to create air movement which will still greshen the filling. Regularly air your duvet by leaving in the open air for short periods of time. If cleaning is required, the duvet can be machine washed. Please note, the minimum drum capacity of your washing machine should be 7kg and therefore, a commercial machine may need to be used. Wash the duvet on its own on a 60°C cycle. Rinse thoroughly and dry completely. Tumble dry on a low temperature. Each morning when making your bed, give your naturally filled duvet a good shake to freshen the filling by creating air movement. Brinkhaus duvets require regular airing in fresh air which allows the filling to fully release any absorbed humidity and restores its capacity to absorb the perspiration we naturally give off in our sleep. Do not sit or sleep on top of your Brinkhaus duvet regularly or for prolonged periods of time which can cause matting of the filling and reduces the effectiveness of the item over time. If lightly soiled, your Brinkhaus duvet can by spot cleaned using a mild washing powder. Do not use any products containing bleach as this will strip the natural materials of their protective lanolin coating which can cause them to go brittle. Once cleaned, rinse the area well and dry thoroughly. To speed up the drying process a hairdryer can be used on a warm heat setting (never hot), this will also create air movement. If full cleaning of your Brinkhaus bedding is required then we recommend professional laundering only. Please note, hand washing is not reccommended. The duvet will become heavy and extremely difficult to manage. Wherever possible, avoid cleaning and laundering as it has a detrimental effect on luxury bedding and the effective life of your duvet is shortened every time these processes are carried out. General fluffing of the duvet daily and regular airing is all that is required to keep your duvet at its best under normal circumstances. 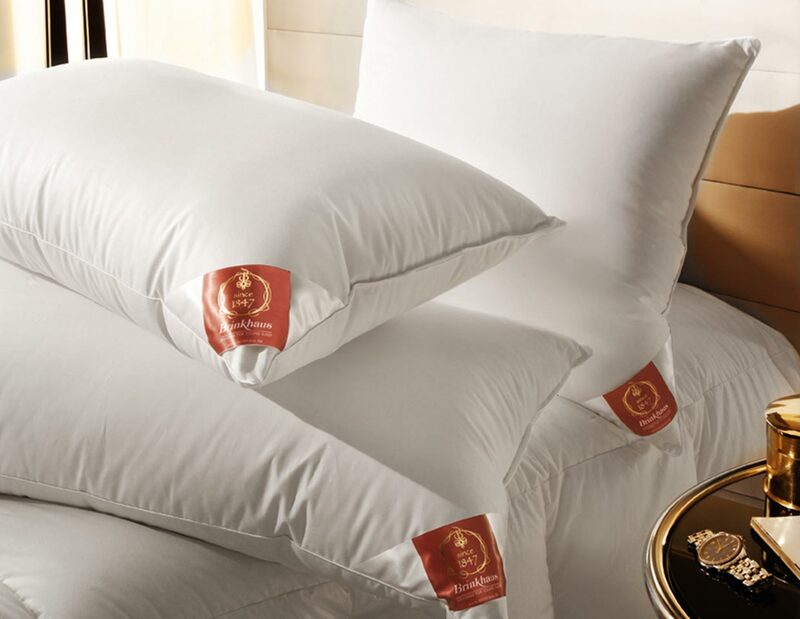 Whether pure down or filled with down feathers, it is advised to use a pillowcase in order to protect and preserve your Brinkhaus pillow. Although please bear in mind that synthetic pillowcases may reduce the benefits and effects of natural filled pillows. Regular plumping and fluffing will help to redistribute the filling. 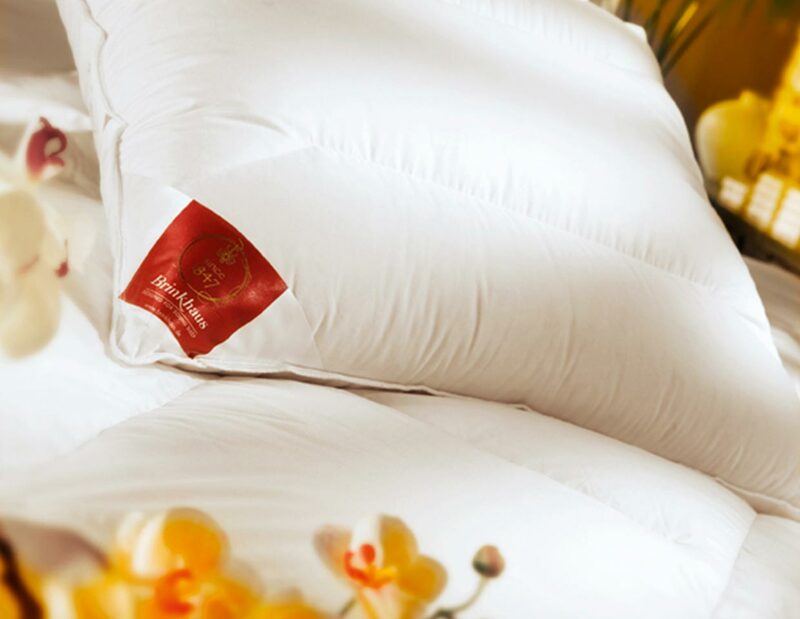 The circulation of air will help prevent the natural filling from matting to increase the longevity of your pillow. Cleaning, if necessary, should be conducted by a professional. Spot cleaning can be achieved at home using a mild, non-biological washing powder. Please do not use bleach or normal household detergents containing bleach or brightening agents. Ensure the pillow is thoroughly dry by washing on a low temperature in a tumble dryer. However, cleaning the pillow is ultimately detrimental and should only be undertaken if absolutely necessary. 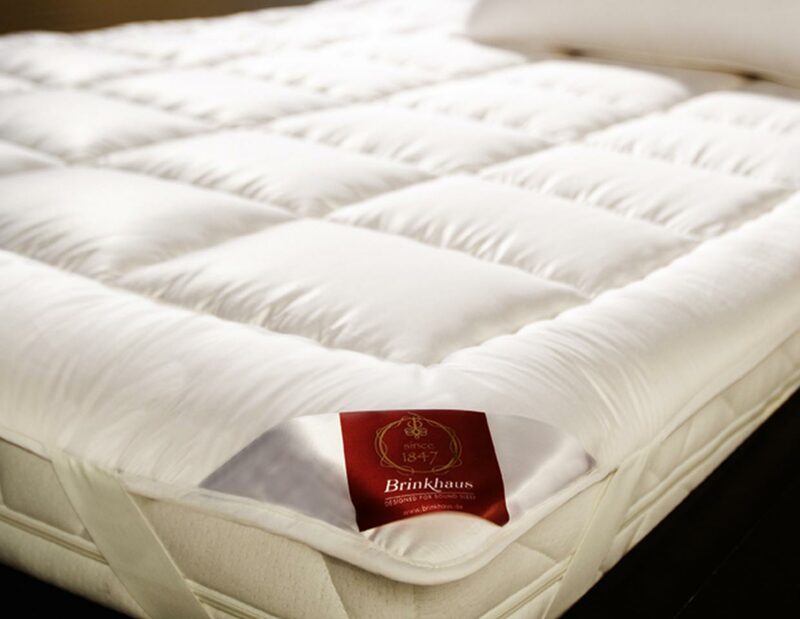 The selection of Brinkhaus mattress toppers are designed to provide additional comfort every night. However, depending on the material will dictate how best to care for your mattress topper. The Morpheus mattress cover is entirely made from soft, naturally absorbent cotton. Quilted and fitted with wide elastic corner straps is designed to be laundered at high temperatures to remove allergens. Wash up to 95°C before drying and airing thoroughly. The Twin Topper and Twin Topper Deluxe comes in two separate layers for a luxurious feel. The top layer is made from 90% Hungarian goose down and 10% small feather, and can be detached for easy care. Wash at temperatures up to 60°C before drying thoroughly.